Quite possibly the hottest ingredient in food today, matcha is everywhere. The finely ground green tea leaves have been a part of traditional Japanese tea ceremonies for centuries, but didn’t gain worldwide popularity until recently. 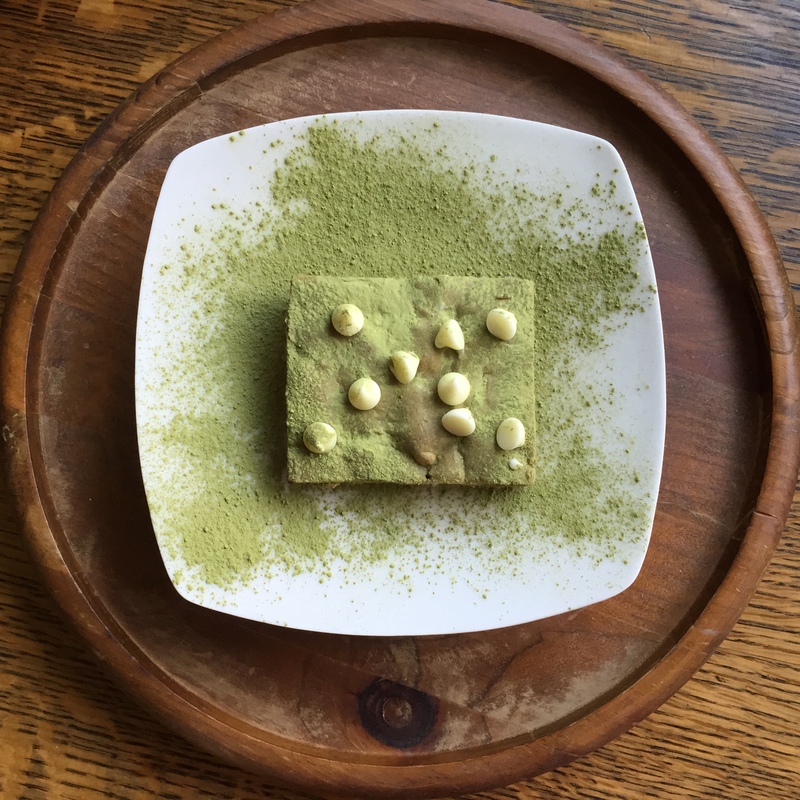 From drinks to cakes, cronuts, and even cocktails, this tea powder is a culinary matcha made in heaven (I’ve got food puns for days). Thanks to a craving for both matcha and brownies, and a quick google search, I made a batch of tasty treats I’m calling Mad About Matcha Brownies. 1. Preheat oven to 350 degrees Fahrenheit. Grease an 8×8 or 9×9 square pan and set aside. 2. In a bowl, measure and cream the butter with the brown sugar and vanilla extract. Add the eggs and mix until smooth. 3. In a separate bowl, measure and mix the flour and matcha together until the mixture becomes a uniform light green in color. 4. Add the flour mixture to the wet ingredients a third at a time, mixing until well combined. 5. With a spatula, gently fold in the white chocolate morsels. Pour and smooth mixture into the prepared pan (it will spread out in the oven) and bake for about 25 minutes. 6. Remove from oven and allow to cool before cutting and garnishing with more white chocolate morsels. Sprinkle a light dusting of matcha powder (this is key) and enjoy! For more delicious photos and the latest posts, follow The Encyclofeedia on Instagram and like the official page on Facebook!